In the spirit of Christmas, Silverstar Casino treated 80 children and their carers from Angela Day Care and Ikageng Day Community Home Based Care to an extra special Christmas lunch held on Wednesday, 7 December 2016 last year at the Spur in Ruimsig. 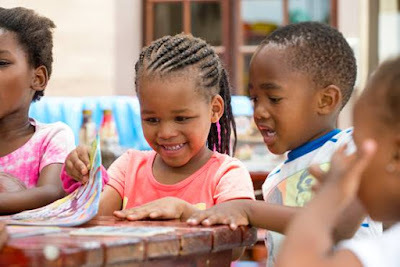 Angela Day Care and Ikageng Day Community Home Based Care are community-based non-profit organisations that provide special care for the children in the local community. Both centres provide a safe place for abandoned children who solely depend on the caregivers for food, assistance and care. 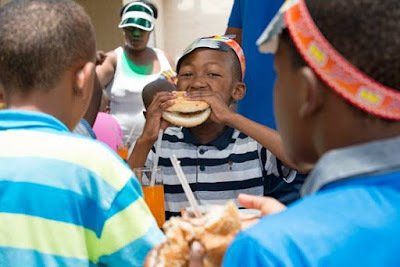 An atmosphere of joy and delight filled the restaurant, with excited children enjoying delicious food, balloons, playing games and bouncing on the jumping castles. They were also thrilled to receive a surprise bag of goodies to take away with them. “Christmas is one day of the year that most children look forward to, not only for gifts but also for the food and the celebration of love with their families. At Silverstar, we know that this time of year can be particularly tough for an orphan and so it gives us great pleasure to be able to host a lunch like this”, says Shane Collinson Director of Operations and Complex General Manager at Silverstar Casino. As an annual CSI initiative for Silverstar the aim is to uplift the lives of vulnerable children in the community by giving them an opportunity to experience the true spirit of Christmas by sharing the love, joy, peace and happiness.